The South African bank is the first from the global South to move out of new coal plants, but is still backing Thabametsi and Khanyisa. In Indonesia, meanwhile, the Cirebon 2 coal plant has long been opposed by local communities for its expected impacts on health and fishing, and the project is the subject of an ongoing legal dispute over its environmental permit. In spite of this, and a whole two years after it had committed to end its financing of new coal plants, ING started to disburse its loan finance to the project last November, leaving a further very black question mark over the bank’s climate credentials. This is the route which Nedbank should also now take. Its new commitment guarantees that it will not get involved in the financing of any further new African coal plants – after Thabametsi and Khanyisa. But this important step will be overshadowed if the bank choses to get bogged down in financing two highly-questionable, polluting projects which are expensive, unnecessary, and lock South Africa into additional high GHG emissions past the year 2050, in conflict with South Africa’s Paris Agreement commitments. 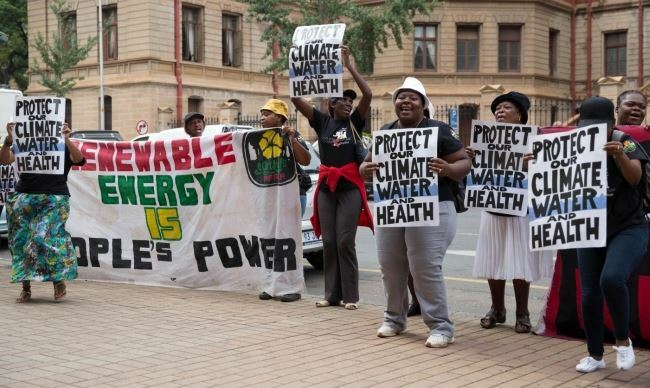 Nedbank has made disastrous coal plant investments before – in 2009, it financed the Kusile coal power plant in South Africa, which turned out to be massively late and hugely over-budget. A recent study by the economics consultancy Meridian Economics concluded that Eskom should stop construction of the plant. Nedbank should avoid making the same mistakes again; make a clean break from dirty coal, and instead focus its efforts on catalysing renewable energy development in Africa. Robyn Hugo is the Programme Head: Pollution & Climate Change at the Centre for Environmental Rights. Yann Louvel is a Climate Campaigner at the international tracking, campaigning and civil society support organisation, BankTrack. For media or other enquiries, please contact Annette Gibbs on agibbs@cer.org.za or 082 467 1295.